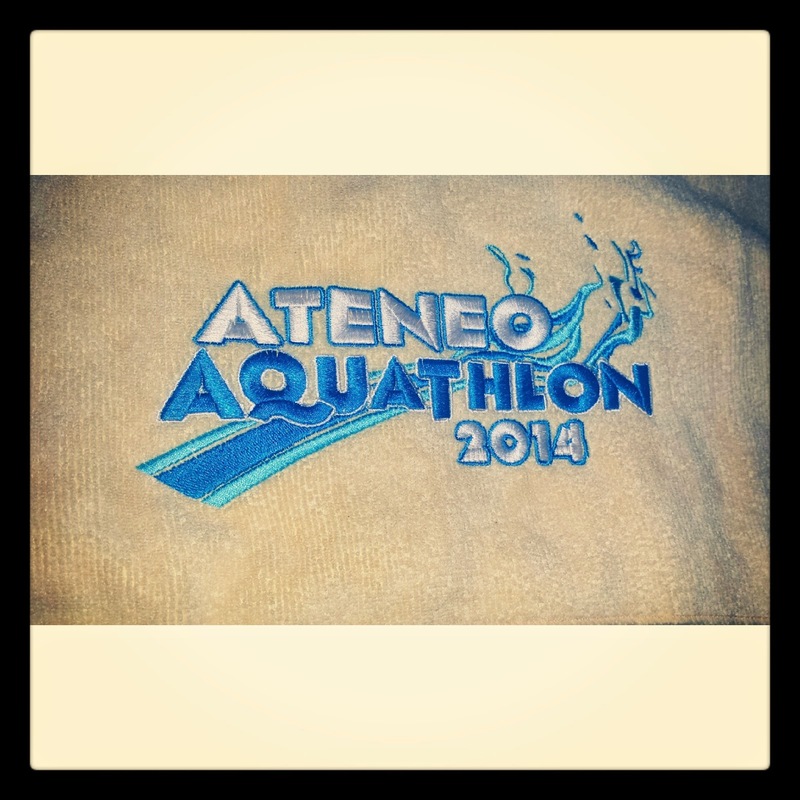 Ateneo Aquathlon is an annual swim and run event organized by the Ateneo Swim Team. 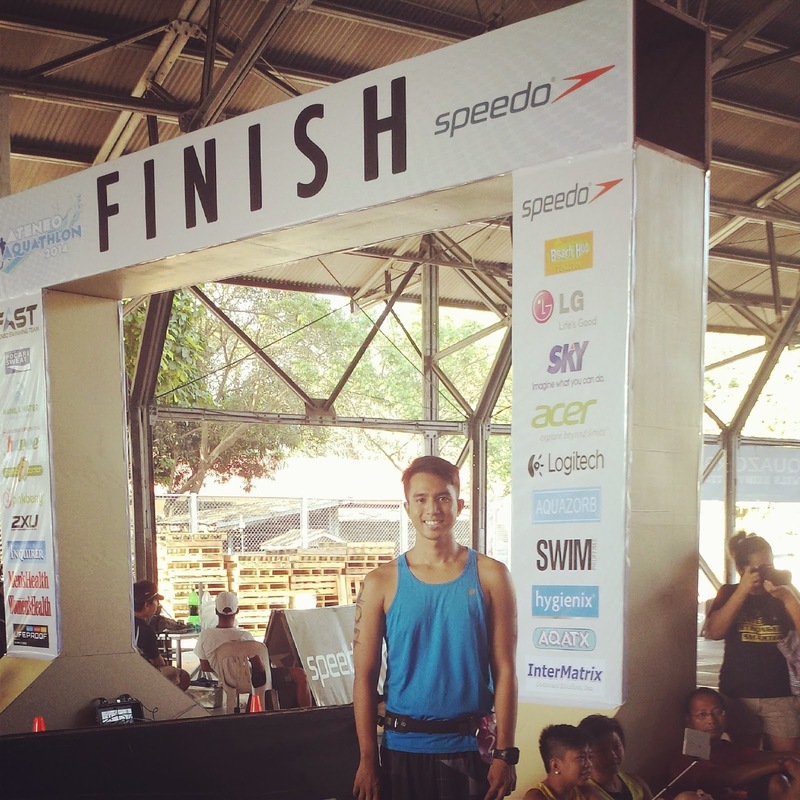 This year, it was held on March 2 at the Ateneo de Manila campus where it attracted a variety of newbie and experienced aquathletes, triathletes and even celebrities. I have been inactive with running since January with my last running event at 1k @ Amway Run. But I am regularly training with swimming until it was too cold a few weeks before the event so I skipped swimming then. Good thing, I was able to squeeze in a training so I was confident to do the swim leg at a respectable time. 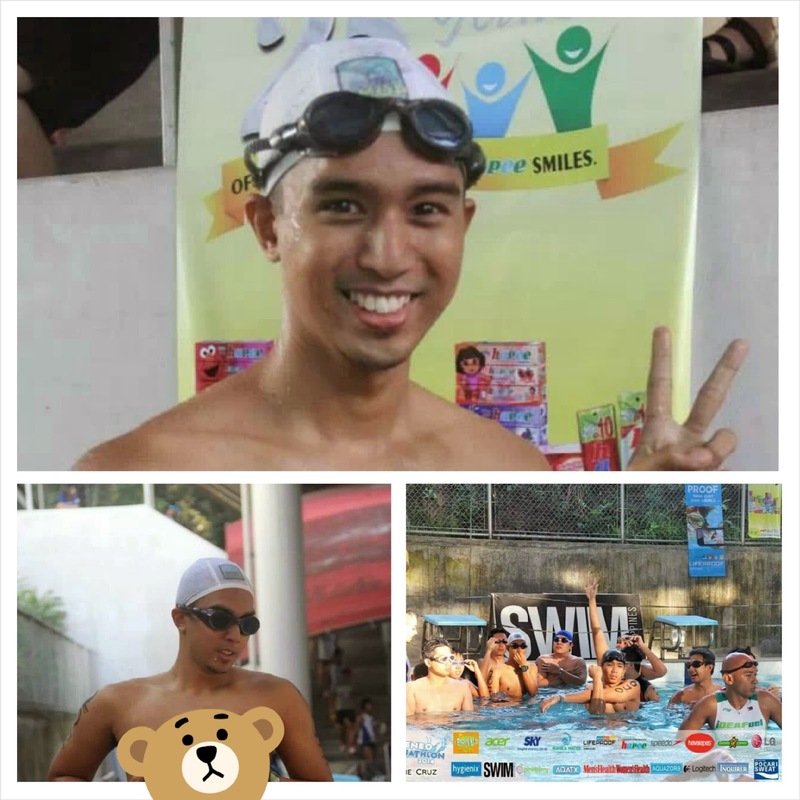 Also, I got pumped up with watching IronKids get a shot at the Alaska IronKids Aquathlon event in February 9 and I was excited to get to participate in the Ateneo Aquathlon. I arrived in time at the Ateneo de Manila campus for our age group's check in time to get my race paraphernalia's and have myself marked. I found running friends, swimming friends and even college friends while waiting for our gun start. Before heading to the pool, we were briefed by the Ateneo Swim Team about the race. They clarified how many laps to swim and what the race route for the 5k run will be. Then, we were off to the pool side to place our belongings in our transition box and head to the side of the pool to begin our laps. A few minutes later, we were instructed to leave our things for the transition. Then, it was already gun start for the swim leg. Like I practiced, I made use of my swim training with total immersion and finished 600m of swim with a moderately fast and relaxed swim. Then, I made my way to the transition area to change into my running attire. I took my time putting on my shirt, shirts and the rest of my running things so I would be comfortable in the run. As I was putting on my music player, I notice my friend's MP3 player got mixed up in mine and I had to go back to the transition area to leave it in the transition basket. Then, I was off to the 5km run in Ateneo de Manila. I wasn't really looking forward to this leg. After having a decent finish in the swim leg, 10 athletes passed me as I wasn't really ready for fast 5km running. 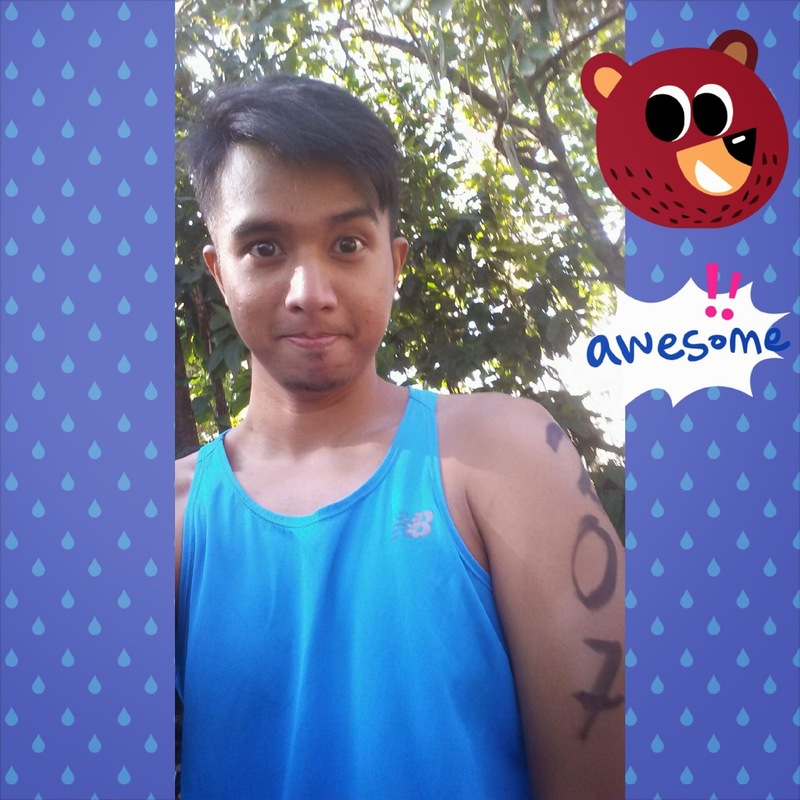 Anyway, I was still happy to finish going zig zag around the Ateneo campus and I was once again an aquathlon finisher. After my finish, I looked for swim pals, DonRey, Ken and Dan and we took photos and cleaned ourselves up. It was still too early to dine out so we just went on our way back home. Until next swim, guys! 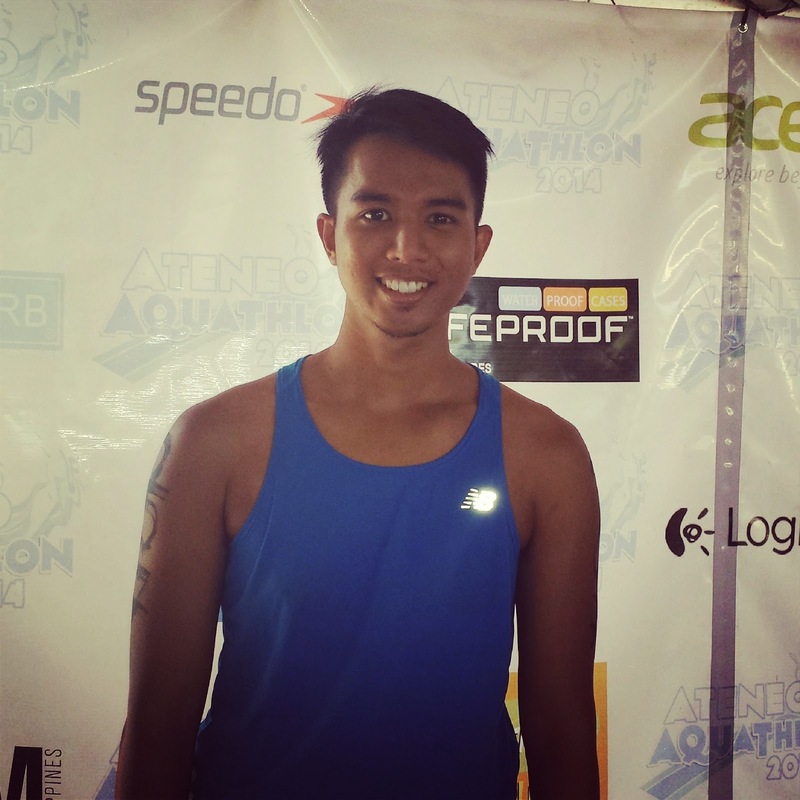 Ateneo Aquathlon has undergone a lot of improvements like the addition of automated timing chips. But the experience is as you would expect, challenging and fun. The host were extra bubbly and the marshals was helpful. I hated the loop thingies but they are essential for this kind of event. I will definitely join again next year.